Basmati rice is a fragrant type of long-grain rice which is available in both white and brown varieties. Grown in both Pakistan and India, basmati rice is a staple food in Indian and Asian households across the UK. Basmati rice is reknown for it’s distinctive aroma and is priced 2 to 3 times more than the price of other types of long grain rice. Rice prices have been increasing substantially over the last 2 years. The most popular basmati rice brands in the UK are Tilda and Uncle Ben’s. Badshah, Trophy, Rozana and Veetee also sell basmati rice. Basmati rice is available uncooked and in microwaveable pouches. Microwaveable rice is ready to eat within minutes and takes a lot less time to cook compared to uncooked rice. Watch a quick and easy recipe to create an aromatic chicken curry with basmati rice. What’s the difference between dry and steamed (microwaveable) rice? Dry basmatic rice indicated that the rice is uncooked. Rice can be cooked in a rice cooker, on the hob or in the microwave. 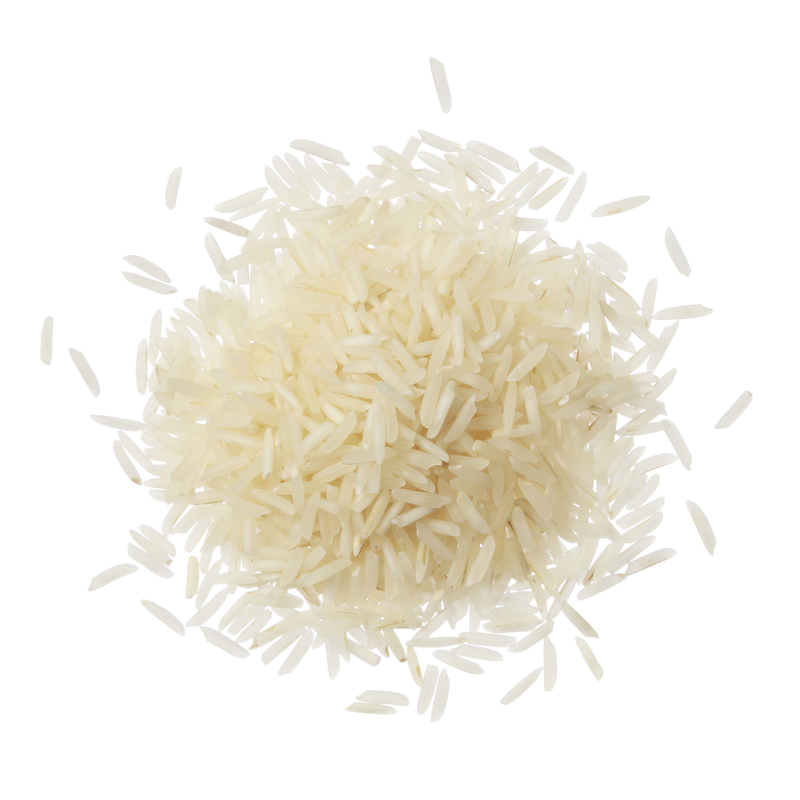 The alternative to dry basmati rice is steamed or microwaveable rice. Partly steamed (in other words, cooked), this type of rice can be cooked in the space of 2 minutes and is a convenient option for a basmati rice enthusiast. How are the nutritional values of basmati rice? White basmati rice has a greater flavour over brown rice. However, brown rice has a higher fibre content and takes longer to cook compared to white rice. What’s more, basmati rice is a good source of iron, selenium, thiamine and niacin, providing over 10% of one’s Recommended Daily Allowance (RDA). What is the glycemic index of basmati rice? Basmati rice has a medium GI of between and 56 and 69 according to the Canadian Diabetes Association.